Amy Einhorn Books, 9780399157769, 392pp. Whom do you trust, whom do you love, and who can be saved? 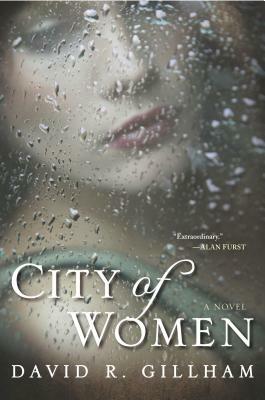 It is 1943 the height of the Second World War and Berlin has essentially become a city of women. Sigrid Schroder is, for all intents and purposes, the model German soldier's wife: She goes to work every day, does as much with her rations as she can, and dutifully cares for her meddling mother-in-law, all the while ignoring the horrific immoralities of the regime. But behind this facade is an entirely different Sigrid, a woman who dreams of her former lover, now lost in the chaos of the war. Her lover is a Jew. But Sigrid is not the only one with secrets. A high ranking SS officer and his family move down the hall and Sigrid finds herself pulled into their orbit. A young woman doing her duty-year is out of excuses before Sigrid can even ask her any questions. And then there's the blind man selling pencils on the corner, whose eyes Sigrid can feel following her from behind the darkness of his goggles. In this page-turning novel, David Gillham explores what happens to ordinary people thrust into extraordinary times, and how the choices they make can be the difference between life and death. David R. Gillham is the "New York Times"-bestselling author of "City of Women." He spent more than a decade in the book business. He lives with his family in western Massachusetts and is currently working on his second novel.